Brooklyn Rosen had high moral principles and was raised properly. Married for over fifteen years, those standards went out the window along with her fidelity when she met Bo. After becoming a self-proclaimed “Home Wrecker” Brooklyn left behind her marital home, along with the damage caused by her emotional wrecking ball. But the whispered remarks followed. My Review: Brooklyn never meant to be a cheater. She never meant to be a Home Wrecker. After living her entire life with honesty and integrity, she never planned to end her marriage, break her husband's heart, or exchange security for the unknown. This latest installment in The Brooklyn Chronicles picks up where the first book left off by following Brooklyn on her journey to establishing a life with the man she risked everything for. This book also delves deeper into Brooklyn's psyche and takes a brutally honest look at her shattered marriage. 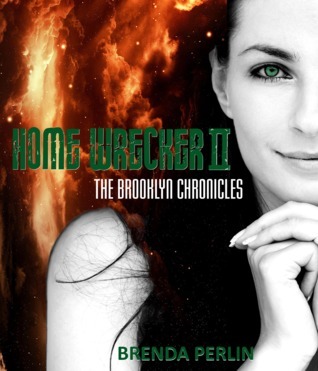 Home Wrecker II is just as honest and emotionally gripping as the first book. It explores the issues of self-esteem, self-fulfillment, love, guilt, betrayal--and even racism. Brooklyn's guilt and Ruth's nasty accusations cause Brooklyn to embrace the title "Home Wrecker" and this theme creates great conflict in her life. Ruth takes a leading role in this second book as letters and emails to her ex-husband paint a portrait of a bitter, irrational woman who is quickly losing her grasp on reality. Ruth hurls vicious anti-Semitic slurs at Brooklyn thus making it difficult to feel any compassion for her as a "scorned" woman. As Ruth's antics escalate, Brooklyn delves more deeply into her own past, her motivations, and her own guilt. This book reminds us there are often more than two sides to every story. Home Wrecker II gives the reader insight into that "other" point of view we seldom read about. Does every person deserve a chance at happiness even if it means hurting someone else, or is each individual responsible for their own joy? How much should one sacrifice in a relationship before deciding to move on? How does someone forgive him or herself when the world conspires to reinforce feelings of guilt? Does love conquer all? These questions will leave you thinking about the book long after you've finished reading.